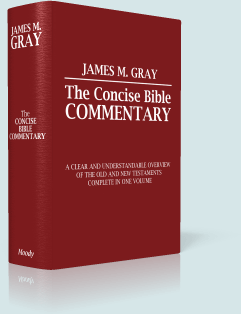 While many Bible commentaries strive for exhaustive treatments of Scripture, Dr. James M. Gray's Concise Bible Commentary instead endeavors to be succinct. According to Gray's own explanation of this work, it "represents the labor of eight years in the use of such spare hours as could be found in an otherwise well-filled life, but had the plan permitted its expansion into a series of volumes instead of one, it might have been completed earlier." Dr. Gray was the first president of Moody Bible Institute. He was an early proponent of radio broadcasting as a means to teach the word, and also coedited the well-known Scofield Reference Bible. Gray designed this commentary to be useful as a personal study aid; a guide for family teaching; a text book for Bible study classes; and as a help in expository preaching. 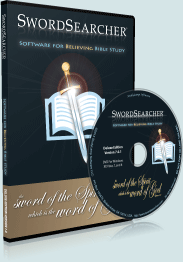 A CLEAR AND UNDERSTANDABLE OVERVIEW OF THE OLD AND NEW TESTAMENTS COMPLETE IN ONE VOLUME. THE PLAN OF THIS COMMENTARY: Begin where the Holy Spirit has indicated to begin, at Genesis, and follow the order of the books. As tallying with this, the reader or student of this commentary will find that it does not usually refer a second time to subjects which it has already touched upon and that the comments do not repeat themselves to any appreciable extent. One should examine the marginal references in his Bible as he proceeds and then turn back to the first instance where the subject or event is treated to find the comment on it. For example, in the case of the Psalms, when one has become acquainted with their general character and the method of arriving at their contents as illustrated in the treatment of a few at the beginning, he may be expected to be capable of analyzing most of the remainder for himself. After that the more difficult, some of the more familiar and popular, and those distinctively Messianic or Millennial are treated more at length, but others are omitted. Moreover as the reading of the Bible should be done in an orderly and scientific way, so it should be done not in small detachments, but in large and generous portions. For example, in the Commentary, where the character of the contents will permit, its sections or divisions cover not merely a single chapter, but several chapters, and are designed to interest the reader in the broad outlines of revelation. In some instances where their outstanding importance calls for it, special attention is given to chapters, verses or even single words, but these are in the nature of great principles whose understanding carries one a long way. Nor should beginners in the study of the Bible, and of these we are thinking, spend much time on isolated texts or be too curious about the difficulties and perplexities it presents, but rather seek a general and comprehensive knowledge of its contents as a whole, assured that in the light of such knowledge the difficulties and perplexities will be reduced to a minimum.